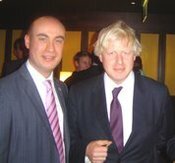 As the Chairman of the Conservative Political Assistants’ Network (CPON), which represents the 70-or-so Conservative Political Assistants in local government, I read Cllr Harry Phibbs’ recent piece on political advisors with interest – as well as the ensuing comments – and was concerned at the apparent ignorance that still prevails amongst Conservative ranks about the work of Political Assistants. Cllr. Phibbs has therefore, very generously, given me space to provide a bit more background, and to put the case for Political Assistants. In the first instance, Cllr. Phibbs’ description of "courtiers and cronies" bore no resemblance to Political Assistants. I would not like to surmise why Hammersmith & Fulham had originally employed so many advisors – nor am I suggesting Cllr. Phibb’s criticism of the advisors extended to Political Assistants – but these ‘advisors’ were certainly not Political Assistants. We are a different breed entirely and should not be tarred with the same brush. The role of local government political assistants was formalised under Margaret Thatcher’s premiership in 1989. Concerns about "jobs for the boys" led to government legislation being introduced to combat these worries. As a result, the role of the Political Assistant was politically restricted and their pay capped by statue. of the three largest parties, providing that they had at least 10% of the council’s membership. single backbench MP, who may employ three or four researchers. satisfaction to know that the earliest discussions of this idea took place within CPON’s ranks. Furthermore, CPON is proudly independent from the Conservative Party. discuss policy and ideas free from political interference, so that we may provide advice and guidance to our political masters that is balanced and thorough. relatively low pay and no political reward. For more information about CPON and the work of Political Assistants, please visit www.cpon.info.